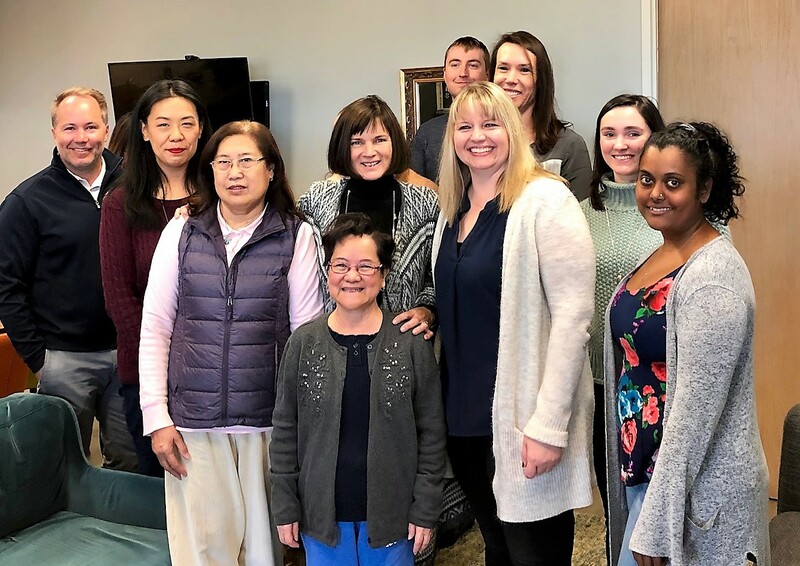 Health Care Workers Lourdes (centre, front) and Susana (just left of centre, front) visited the Classic LifeCare Vancouver office on Tuesday to celebrate their 20-year anniversaries with Classic and their upcoming retirements. Classic happily celebrated two 20-year employees today, and wished them well for their upcoming retirements. Lourdes and Susana were both hired by Classic LifeCare in 1999 just three months apart. They have been dedicated, reliable, passionate Health Care Workers. Susana is planning to move to Ontario to live with her sister. Lourdes is catching up on some much-deserved rest by sleeping in. She enjoys walking to the mall and having coffee with a friend. Susana and Lourdes have worked hard to support Classic for two decades and build its reputation of providing the finest home care. They will be missed by co-workers and clients alike.